A visit to Naxos is not complete without exploring the magnificent hinterland and villages that dot the countryside . Each village is a microcosm separate, different architecture, different customs and culinary traditions. Rent a car and explore the streets of the island. 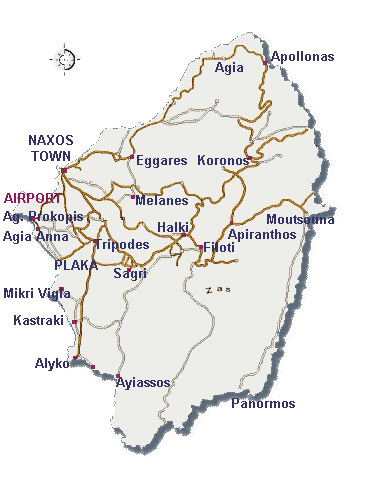 Many roads leading to the villages of Naxos where you can follow hiking trails through green and fertile valleys , hills and gorges with streams, waterfalls and lush vegetation. Other roads www.nikehuarache.it flowing beside the coastline of the island , passing by small taverns , golden beaches and small white churches that face the sea. Others stop to important archaeological sites, museums and monuments, as well as byzantine churches , monasteries and medieval towers . Chalki, flooded with green, traditional houses, Venetian castles. 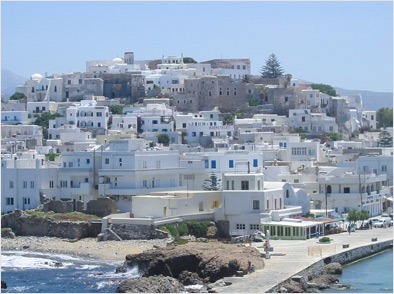 Filoti, the biggest village of Naxos in the center of the island and build amphitheatrically next to the mountain. Apiranthos, with a beautiful view and popular local color. Appolonas, which situated in the rear side of the island a touristy center with a good shores and a beach. Agia, with a monastery of Panagias flooded with green Eggares and Galini, are situated near to Chora All these villages are situated on the same main road of the island. The Upper and Lower Potamia , Sagri with temple of Dimitras and Mikri Vigla with a beautiful beach is situated for a daily excursion. It's worthwhile a visit to Melanes where one can see the big archaic statue of Kouros, to Kinitharos to Moni with a monastery of Panagias Drosianis premier of Cyclades. Naxos offers amazingly nice beaches like Agios Prokopios, Agia Anna and Plaka.